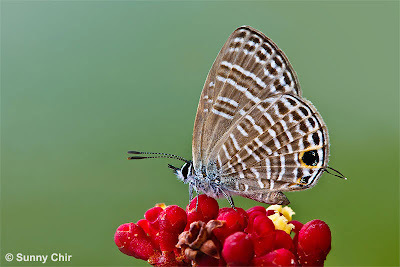 Singapore, an island at the southernmost tip of the Malay Peninsula, is a city-state comprising a total of 63 islands and islets with a combined land mass of 712.4 sq km. Singapore is highly urbanised city, but more than half the island is covered by greenery. 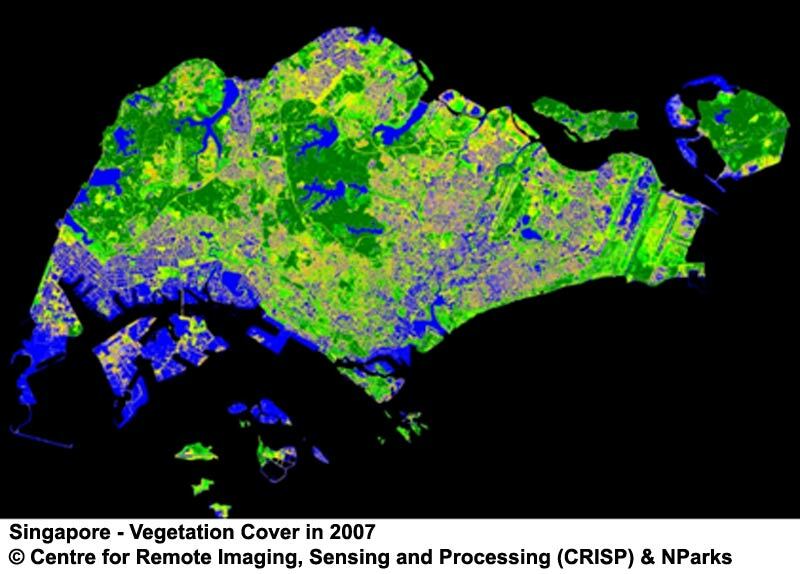 Because of this, Singapore is often referred to as the "Garden City". 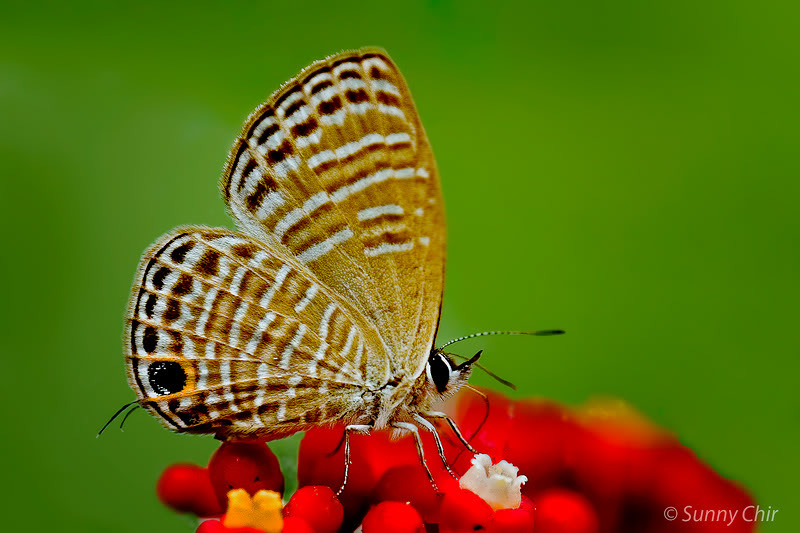 With a population of about 5.2 million people, it is considered a very densely populated country, in terms of persons per sq km. Despite being a land-scarce island city-state, about 23% of its land area is set aside for forests, parks & gardens and nature reserves. The National Parks Board, a statutory board that oversees the management of the Garden City, manages a total of 300 parks and 4 nature reserves and a total of 180 km of parks connectors which links the nature reserves, parks and urban gardens in a network of greenery covering the island. 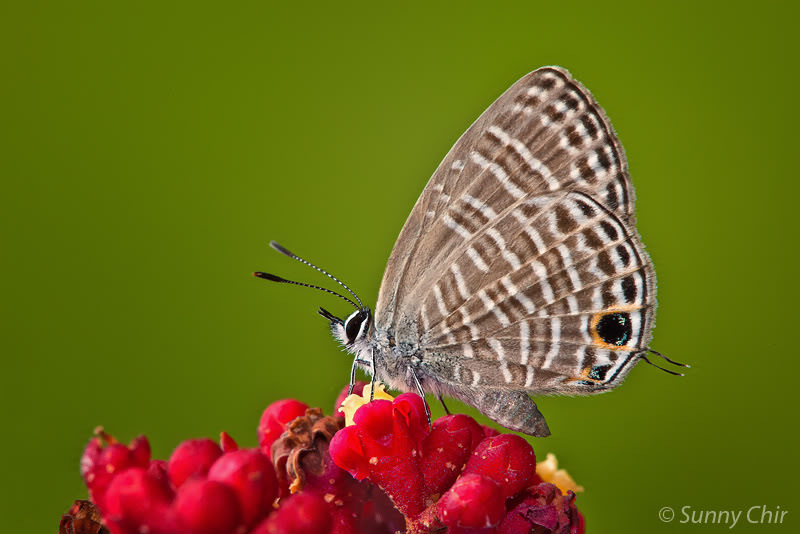 It is always amazing to relate the story of how this "little red dot", as Singapore is fondly referred to, is home to a rich biodiversity of flora and fauna. 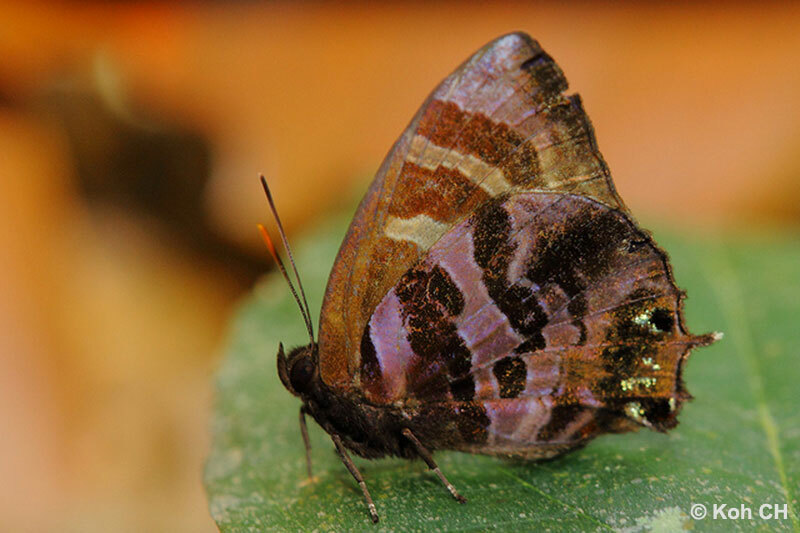 Its butterfly biodiversity has crossed the 300 mark and is likely to increase as more species are discovered and re-discovered. This little piece of trivia is in itself remarkable, for example, when compared to Great Britain, where Singapore has more than five times the number of butterfly species compared to a country that is over 340 times the size of Singapore! 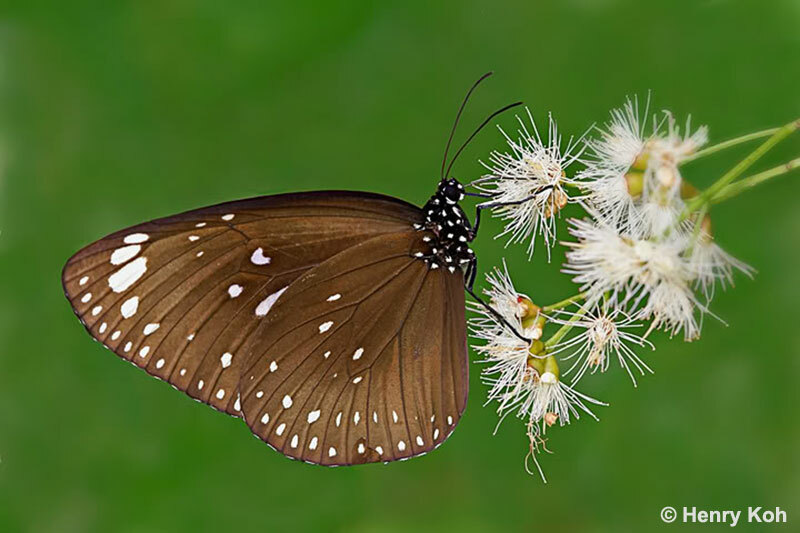 Hence, despite the highly urbanised built environment, Singapore's incredible and diverse range of flora and fauna stand testimony to the nature conservation efforts of governmental and non-governmental organisations. The English name of Singapore is derived from the Malay word Singapura (Sanskrit: सिंहपुर, lit. 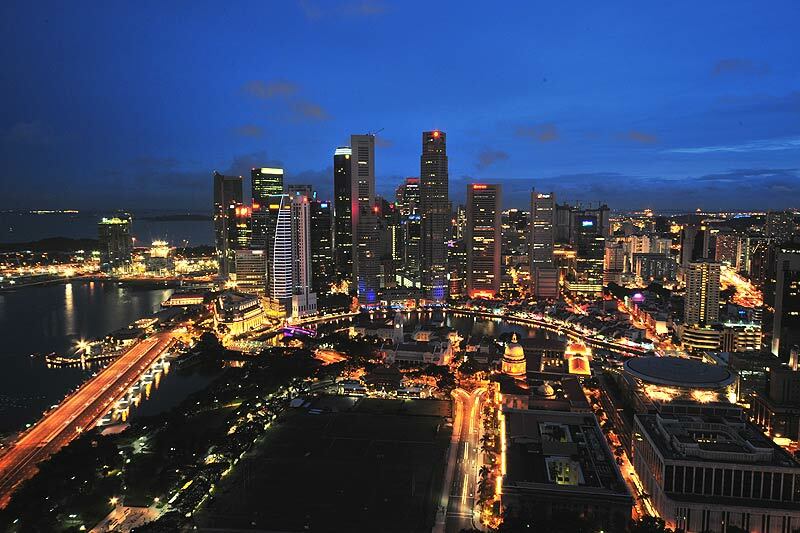 Lion City), hence the customary reference to the nation as the Lion City. This week's article features butterflies in Singapore with their scientific names containing the word "singapura" in them. The subspecies singapura of the Blue Spotted Crow is found in Singapore, as well as on the islands of Pulau Aur and Tioman in Malaysia. 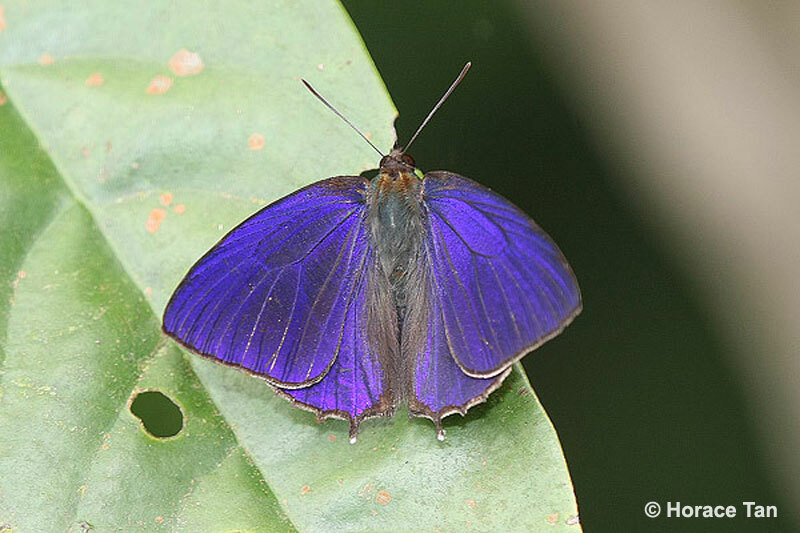 This subspecies lacks the blue sheen on the upperside forewings of the Malaysian subspecies chloe. 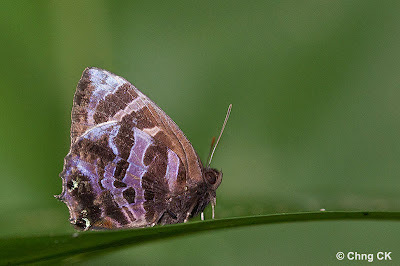 It is a moderately common species that is often observed singly at both urban parks and gardens as well as in the nature reserves. 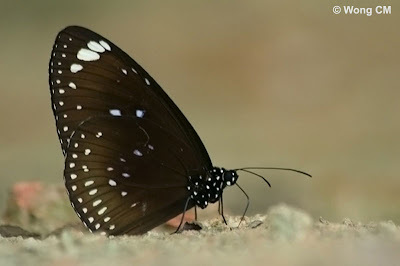 Males of the Blue Spotted Crow are often seen puddling at damp sandy spots near streams, and also observed at flowering trees in parks and gardens. When puddling it often returns repeatedly to the same spot even when disturbed, but can be skittish and not easily approached. 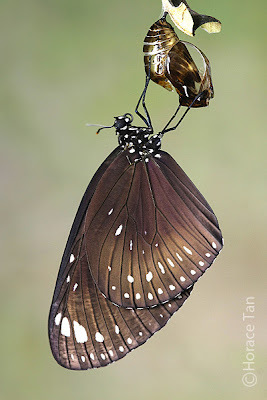 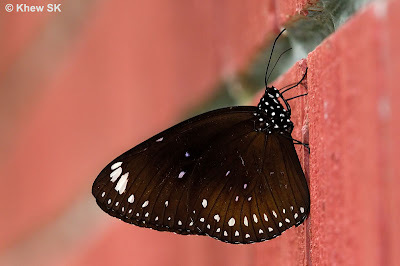 The butterfly is predominantly black with white spots typical of the Danainaes. 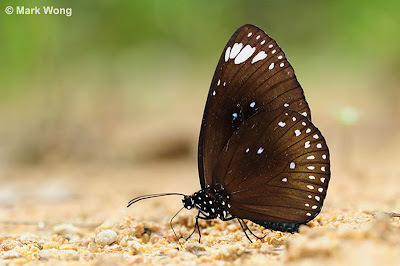 It resembles the Spotted Black Crow very closely, with the difference in that there are four elongated white apical spots in the Blue Spotted Crow, compared to its lookalike's five spots. The Singapore Fourline Blue is the 2nd butterfly to carry the subspecies name singapura. 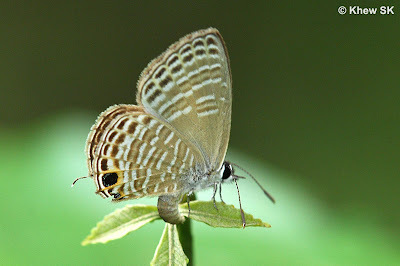 The early authors commented that "it is seldom seen, except in Singapore, where it is sometimes quite common on the landward edge of mangrove swamps". This description is still accurate to this day, as the species continues to thrive at the Sungei Buloh Wetland Reserve, a protected mangrove nature reserve in Singapore. The species' life history has been recorded on this blog here, with its host plants, Derris trifoliata (Leguminosae), Andira inermis (Leguminosae), Allophylus cobbe (Sapindaceae), all found at the landward edge of the mangrove swamps. 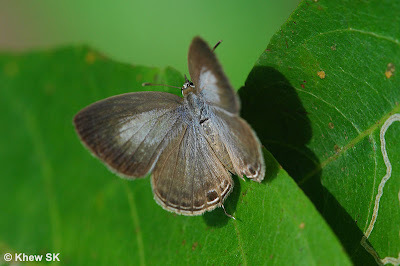 The Singapore Fourline Blue is a pale greyish blue with very thin borders on the upperside of the male, whilst the female is brown on the upperside with a blue wedge-shaped discal patch on the forewing and basal blue dusting on the hindwing. 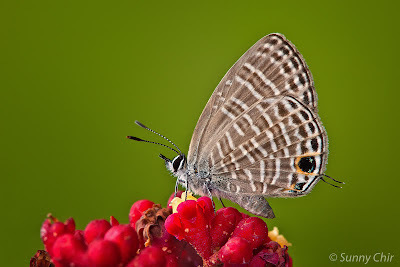 The last of the three butterfly species to bear Singapore in its name is the Shining Plushblue. 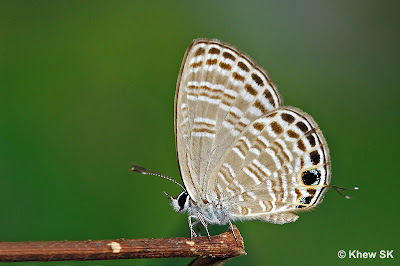 The subspecies carries the name singhapura with the additional "h" in the name, but for all intents and purposes, it qualifies as a species that has the Singapore "brand". It is a rather rare species that is most often encountered in Singapore's forested nature reserves, usually skulking amongst the shaded understorey along the forest edge and along paths. 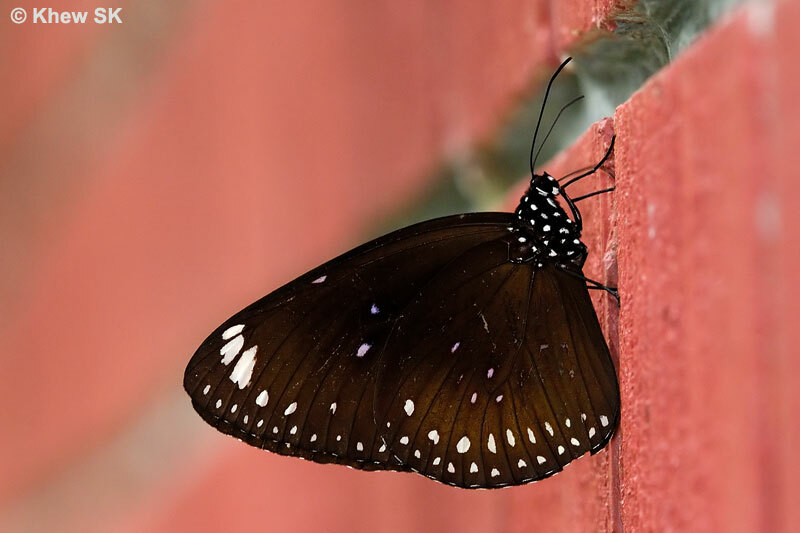 It is a fast flyer and is skittish. 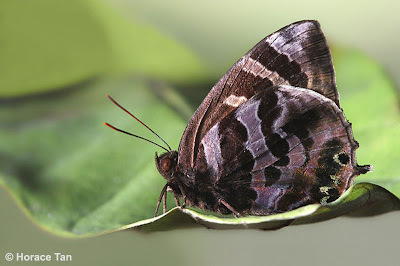 Usually, individuals are encountered, often in the company of species of the Arhopala genus. The Shining Plushblue has a short stumpy tail at vein 2 of the hindwing and the dark brown bands across both wings on the underside. 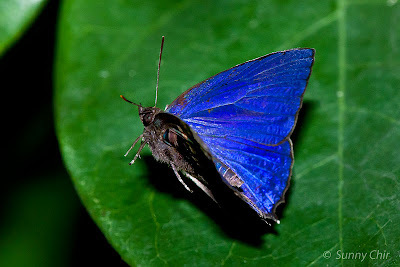 The males are dark blue above with almost indiscernible borders whilst females are a shining purple-blue with broad black borders. 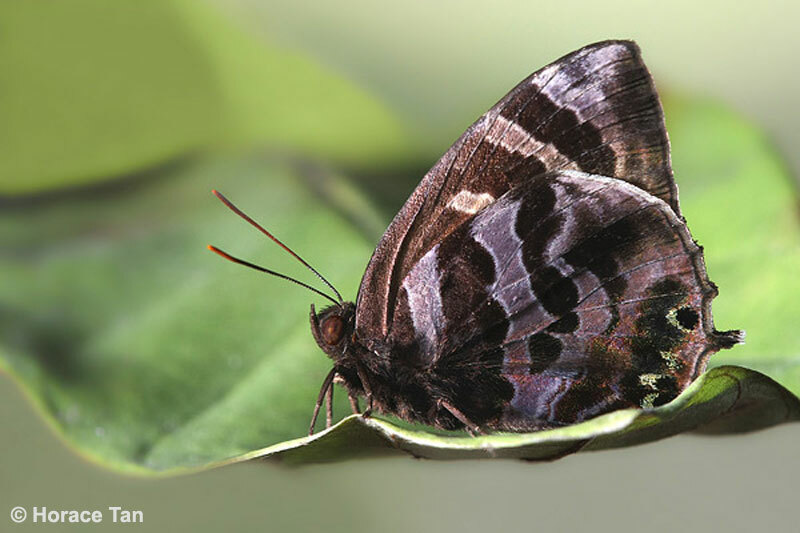 The partial life history of this species has also been recorded. And so we celebrate three butterflies with their subspecies names carrying the name Singapore, or the Malay version "singapura" and "singhapura", giving these three butterflies a special pedigree that is closely associated with our beloved island in the sun!